Resided in the Aegean Sea and part of the Cyclades Islands, Mykonos knows as one of the most tourists visited destination in Europe. The island offers a complete vacation experience, its cosmopolitan atmosphere with an exciting nightlife is well known among the world celebrities. Mykonos ,full of whitewashed houses and blue domed churches provides a wonderful sensation of scenic view. The attraction further completed by its magnificent sandy beaches that surrounded by the azure colored clear crystal sea waters of the Mediterranean environment. Such natural atmosphere also benefit the islands become the most favorable beach leisure destination in Europe. As the most cosmopolitan island in Greece Mykonos possesses a complete accommodation facility for tourism area. The island nightlife dominated mainly by crowded bars and numbers of notable clubs. So, the island offers a complete vacation attraction. One of the best recommended ways on enjoying Mykonos attraction is by chartering a yacht. By having yourself a yacht charter means you have preserved both the luxurious accommodation and an ideal transportation to optimally enjoy the temptation of Mykonos. 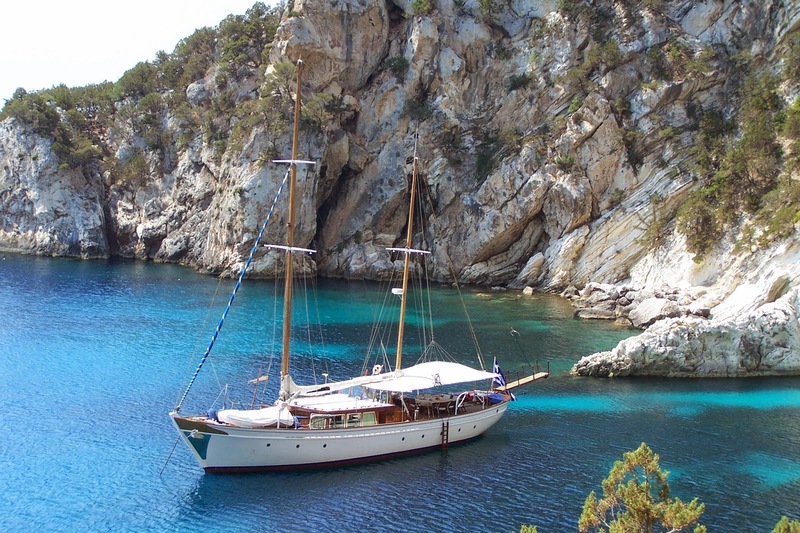 In that regard Yacht Sailing in Mykonos is one the most favorable yachting services that you have to consider. Yacht Sailing in Mykonos offers you various type of yacht vessel that you can choose for your vacation needs. It will be a great idea to spend your vacation daytime on any of Mykonos beaches or even offshore at any spot that you desire. Then when daylight starts changing to evening time you can first enjoy the Aegean Sun Set on board of your yacht. After which you could continue your Mykonos temptation visiting any of the island hottest spot for partying. Therefore you have to neatly arrange your vacation and cruising schedule since you are honored with the privilege of becoming the temporary yacht owner.